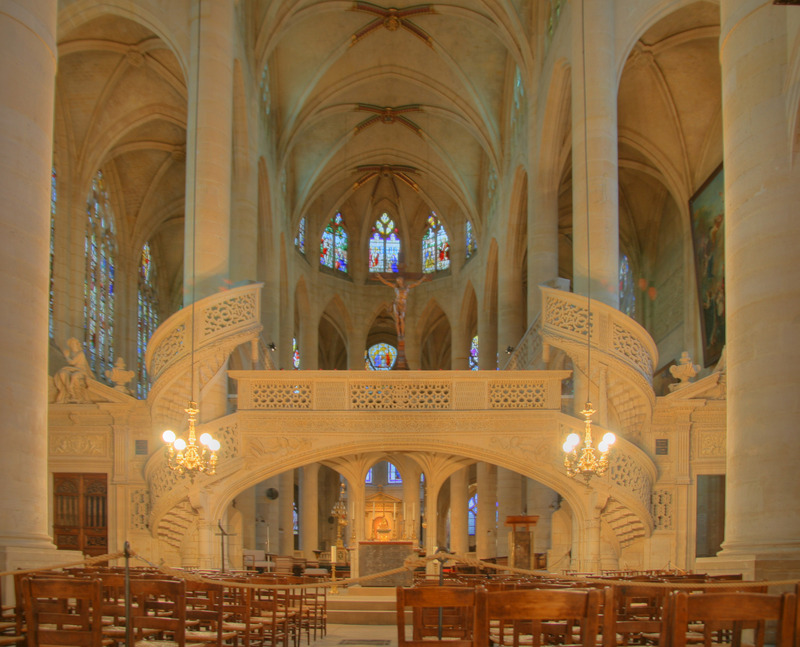 St. Geneviève was responsible for saving Paris from the Huns in 451 CE, and her shrine in Église Saint-Étienne-du-Mont has been a popular place of pilgrimage ever since. 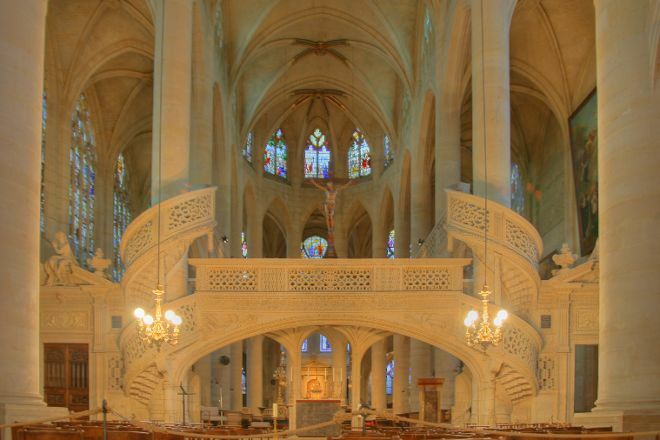 The church as it stands dates from between 1492 and 1626, and is a mix of Gothic and Renaissance architectural styles. The Renaissance rood screen is the sole survivor from its era left in the city. Take the guesswork out of planning a Paris vacation by using our trip itinerary maker. If You go to the Latin quarter and visit the Pantheon, don't forget to visit this adjoining church. It's Worth it. Neat church next to the Panthéon. Groovy architecture, and the stained glass is a really nice painterly style that you don't see in the more medieval glass. Worth a visit if you're nearby. Nice spot in the Latin Quarter. It was late so we were unable to enter. Great destination for a stroll at night, then pop in for a pint across the street. I thought it might be mobbed with fans of the movie "Midnight in Paris" taking selfies, but it was very peaceful at night.